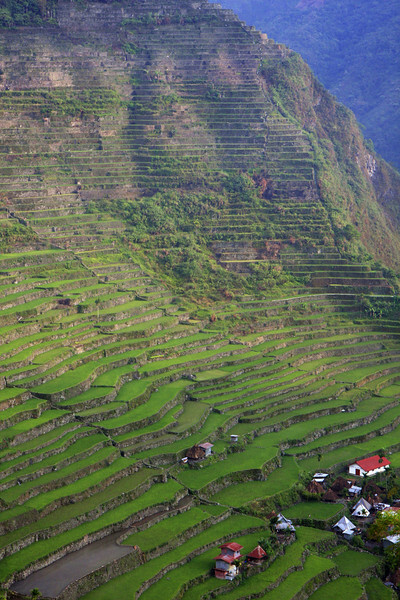 The rice terraces near Banaue are over 2,000 years old. They've been honored as a UNESCO World Heritage Site. Enjoy the green terraced landscapes!